An elegant wedding venue here in Durham is The Cotton Room, and if you’ve ever seen it you know why. 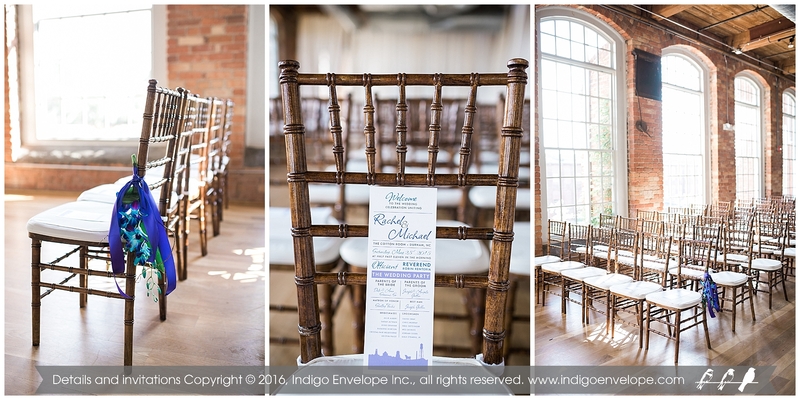 Its industrial style architecture with floor-to-ceiling windows and exposed brick makes for a picture-perfect scene. 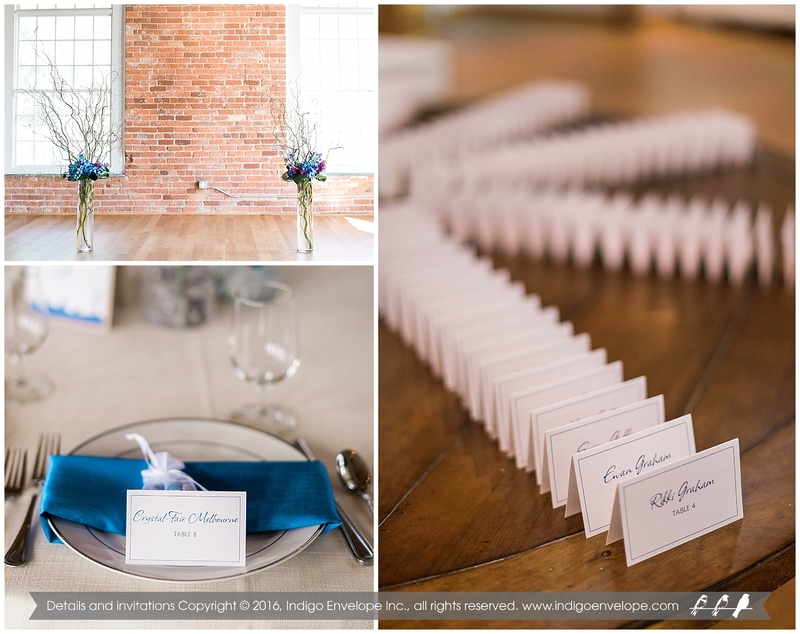 We always love seeing the photos for weddings at The Cotton Room, as they feel so classic. 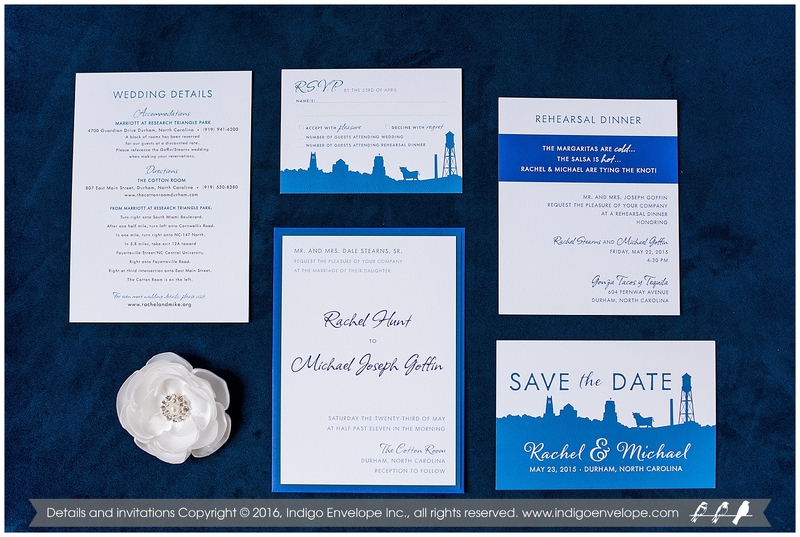 For Durham locals Rachel and Michael, our popular Durham-skyline design was their choice. Bringing in the local flavor was key, especially with such a historic venue. 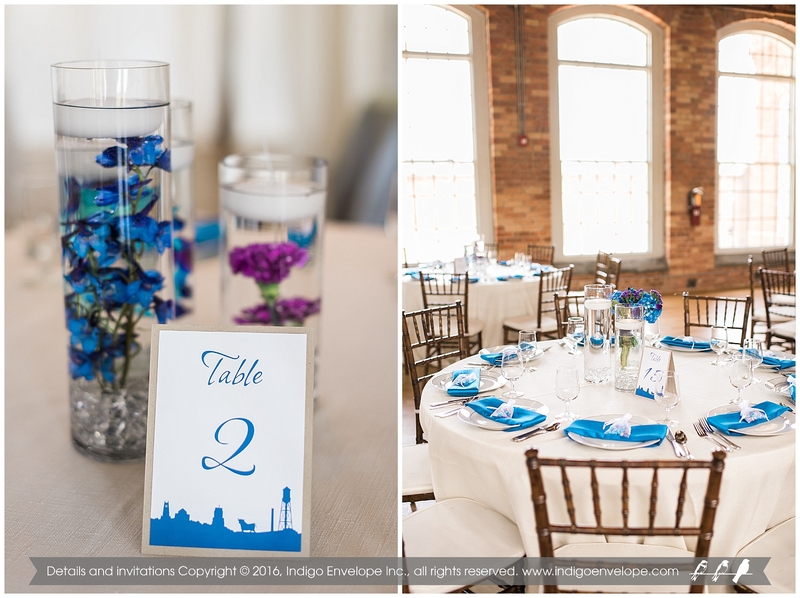 The tonal blue and white colors offered a nod to North Carolina tradition, and pops of purple kept things modern. 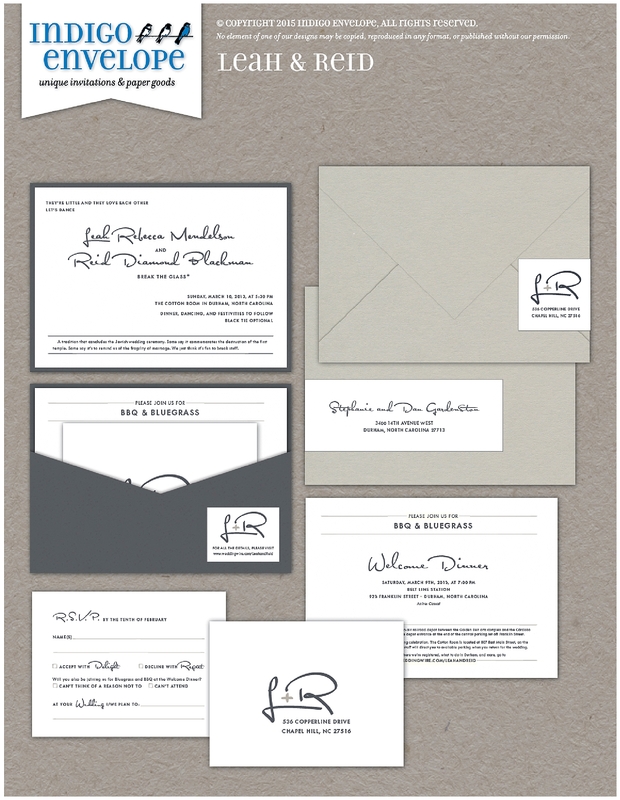 Handwritten elements brought an elegant, classic touch, while adding a personalized feeling. 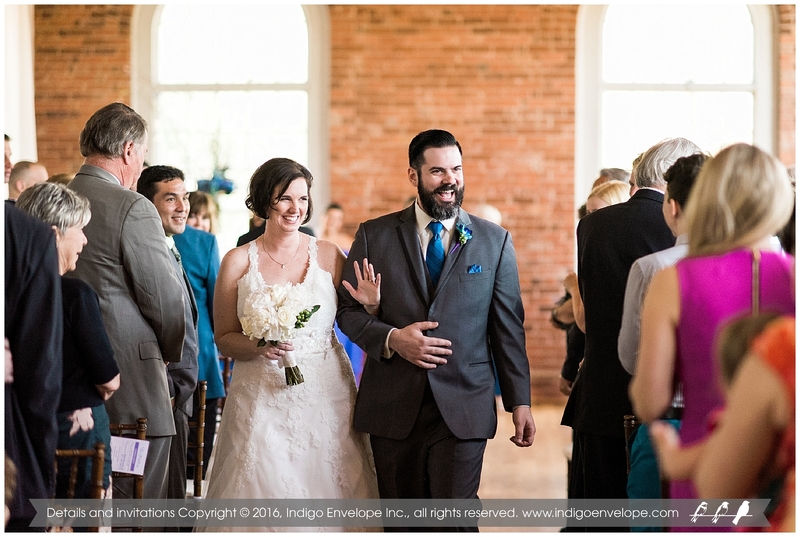 Leah and Reid, who wed at The Cotton Room here in Durham, came to us with some great design concepts. 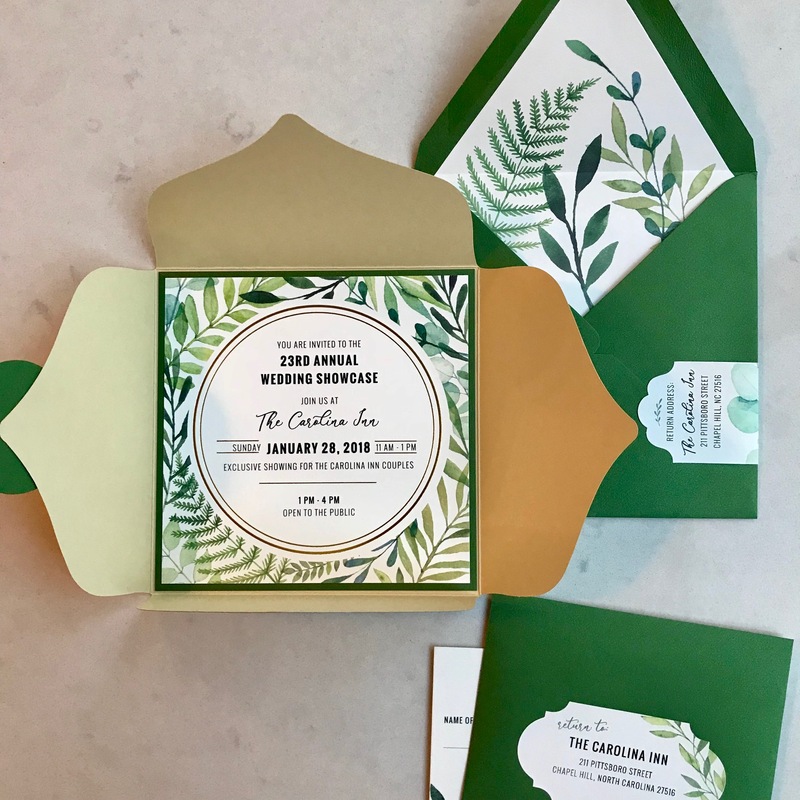 They had a great sense of humor, and they wanted to create a wedding with a strong graphic identity. 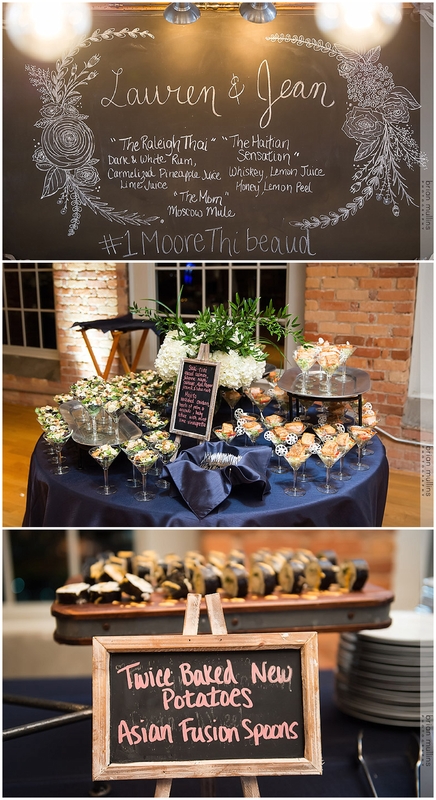 They envisioned a simple modern typographic wedding with playful elements, and we loved bringing that to life. 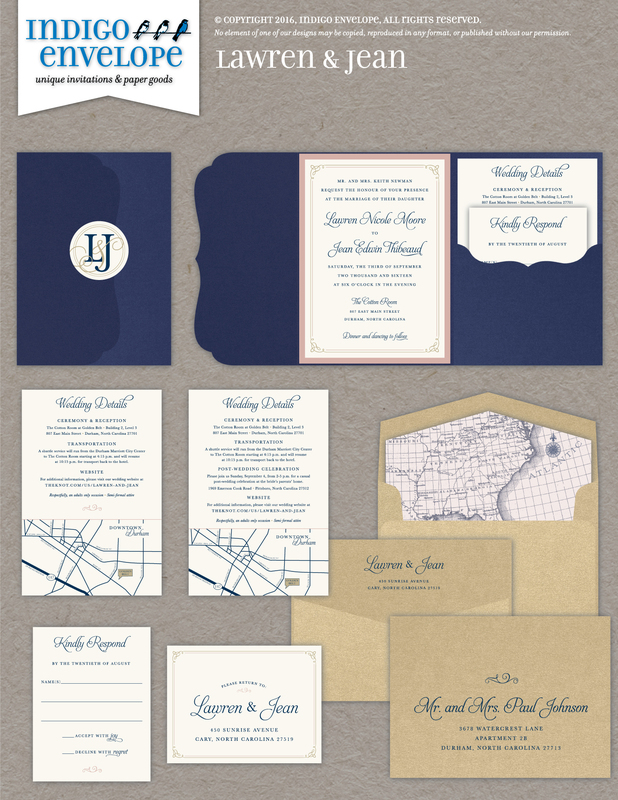 For Leah and Reid’s design we created a simple, modern invitation suite with an emphasis on typography. Letterpressing the invite for a clean and luxe feel, their suite featured a charcoal pocketcard accented with metallic pearl. It was important to include their sense of humour, showcased by footnotes with nods to their shared history or inside jokes. The footnotes were also a nod to Reid’s career as a professor of philosophy and academic writing. 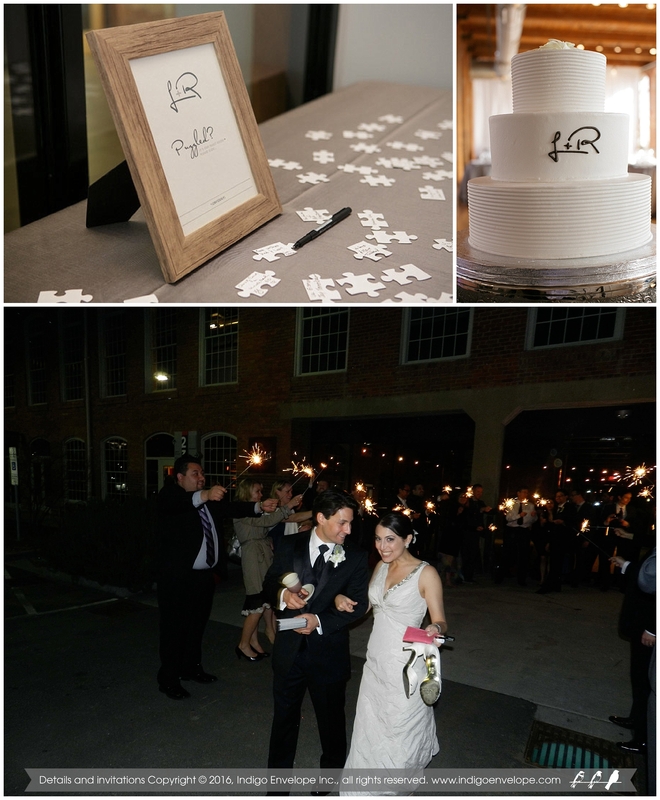 A custom monogram was repeated on the cake and other elements of their design. 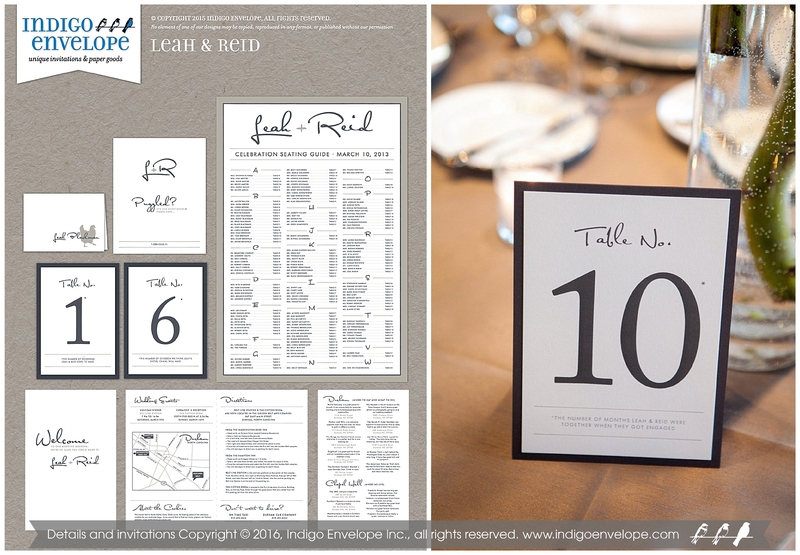 A large seating chart replaced table numbers for a bold decor statement. Another playful touch was the puzzle pieces for guests to sign, rather than the traditional guest book.